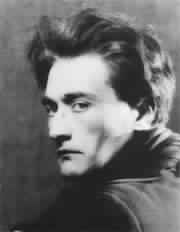 Schizophrenia, which affects 1 out of 100 persons in the world, causes great suffering for patients and their families. To this day, no treatment allows to improve all of the disabling symptoms related to the disease. However, research has achieved considerable progress, leading to new therapeutic perspectives and, in the longer term, possible measures to prevent schizophrenia. Despite the important and recognized prevalence of schizophrenia and other psychiatric diseases, the financing of research in this field remains a major challenge and falls a long way behind the means invested for the benefit of somatic medicine. Ignorance of the massive scale of schizophrenia as well as the clichés, taboos and fear still linked to psychiatric diseases hinder public awareness needed to advance research, and represent additional obstacles to scientific and therapeutic progress. The graph opposite illustrates the striking imbalance between investments granted for diseases affecting the brain (among which psychiatric disorders) and the costs they occasion for society (treatments, hospitalizations, rehabilitation, disablement allowances, etc.) in comparison with a disease such as cancer. 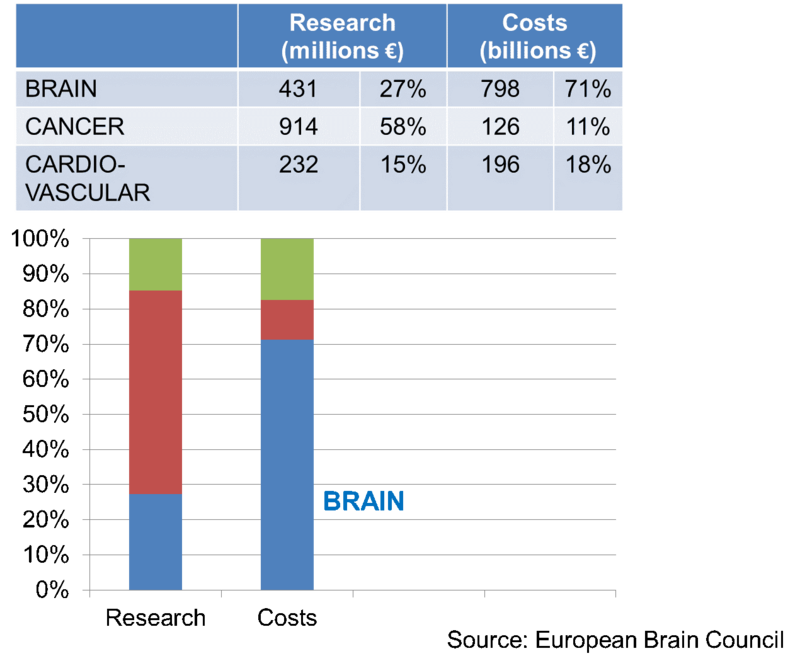 The figures published by the European Brain Council show that investments in research targeting brain diseases correspond to 27% whereas their costs amount to 71%. Investments in cancer add up to 58% whereas its costs are equivalent to only 11%. The goal of the Alamaya Foundation is to collect private funds needed to advance research.